Brian O’Driscoll, Barney Rock, The US Masters and Paul Mannion all come up for discussion. 1. Who was your GAA hero growing up? “Dublin’s Barney Rock. He was the darling of the Hill and I used to love watching him play. 2. Can you remember the first inter-county game you went to? “I have vague memories of the 1984 All-Ireland semi-final between Dublin and Tyrone. 3. Tell us about the first time you lined out for Dublin? “I played for the North-East Dublin side when I was an U12 footballer but for a combined representative Dublin side, it was at minor level that I first lined out. 4. Who was the toughest opponent you faced? 5. Outside of Croke Park, what’s your favourite GAA venue? “I think I’d have to say Parnell Park. I played so many games there over the years and I really enjoyed playing there. It’s the real home of Dublin football and is a great place to go to watch a game. 6. What was the most memorable game you played for Dublin? “The result didn’t go our way but my senior championship debut is a game I’ll always remember fondly. It was the 1996 Leinster final and for a young player, it was just a dream come true to be playing for Dublin. 7. Which sports do you like to watch apart from GAA? 8. And which sporting event in the world would you love to attend? 9. What current GAA star do you like watching play? “I’ll have to say a Dublin player really. Paul Mannion is someone who is really exciting to watch. He’s been electric since he started playing in attack for Dublin this year. 10. And who’s your favourite sports star outside of GAA? “I’d have a lot of admiration for Brian O’Driscoll in how he carries himself and how he has performed consistently for Leinster and Ireland over the years. I thought the reaction to his dropping by the Lions last week was over the top but I was still hugely disappointed by it. The Bord Gáis Energy Legends Tour with Ciarán Whelan will take place on Saturday, July 13 at 2pm. GAA legends Pat Gilroy, Ken McGrath, Tommy Dunne and more are also set to host tours of Croke Park Stadium this summer as part of the series. For booking and a full list of upcoming Bord Gáis Energy Legends Tours visit www.Crokepark.ie. Email “Friday Legend Focus: 10 questions for Dublin's Ciaran Whelan”. 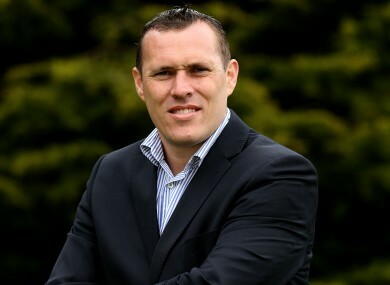 Feedback on “Friday Legend Focus: 10 questions for Dublin's Ciaran Whelan”.